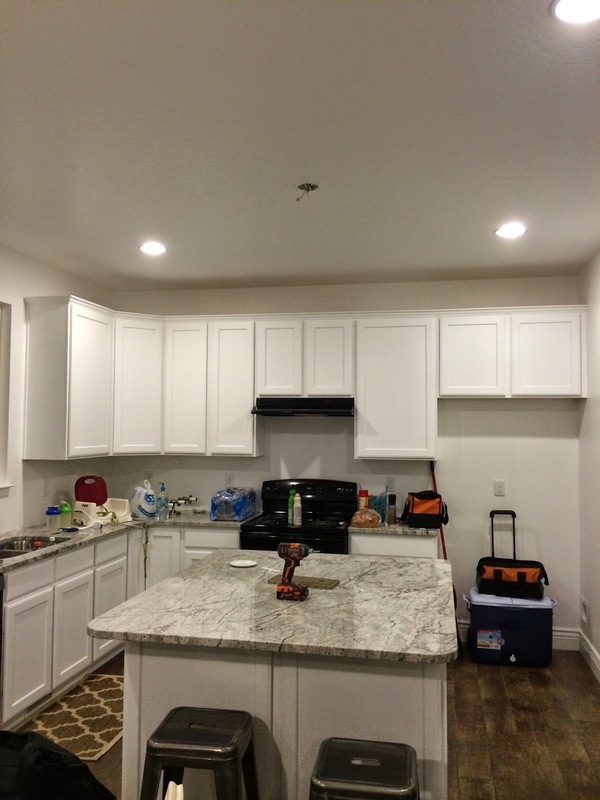 Okay friends I am so excited to show you how my new kitchen turned out. But first I want to thank my husband who sponsored this project. Not to mention the countless hours, meticulous detail and dedication for it to come together perfectly. 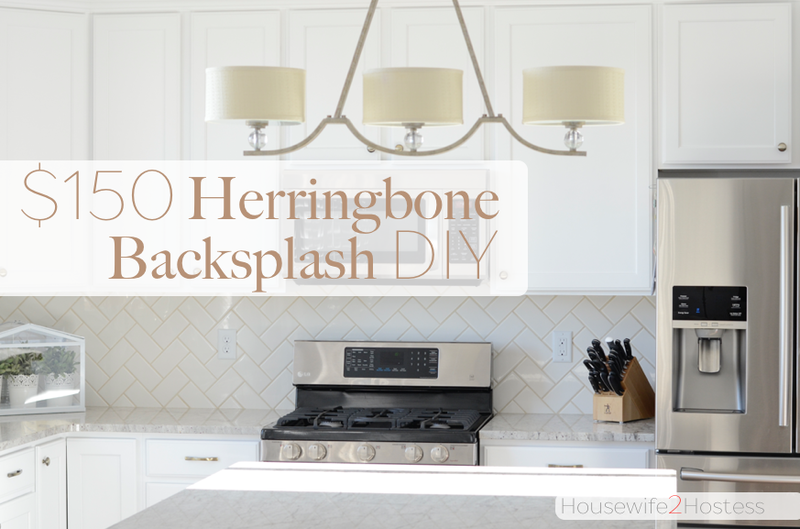 Like the rest of the women on Pinterest, I’m OBSESSED with white kitchens and subway tile. 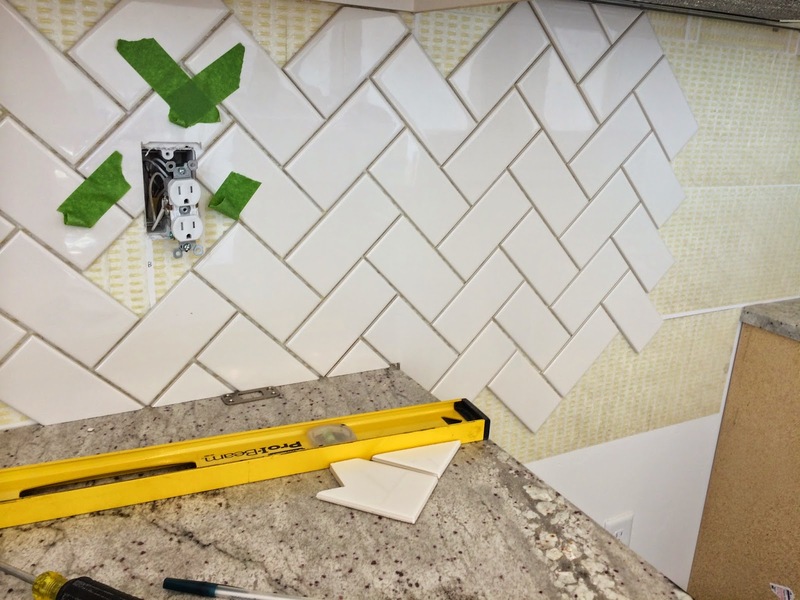 I wanted to do subway tile but I didn’t want it to be like everybody else. I started looking into different patterns and quickly decided on herringbone. My husband knowing that he would have to do the work, tried to talk me into something much simpler. But love prevailed (or my way prevailed) and he agreed to do it for me! Again, I want to just take a minute to thank him for making this dream a reality I could not have done it without him! Lets go back to the beginning. Here is our kitchen the day we moved in and it was in dire need of some serious TLC. 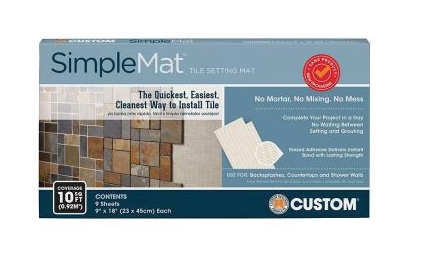 SimpleMat is basically a glorified double-sided sticker used in place of wet adhesive for tiling projects. 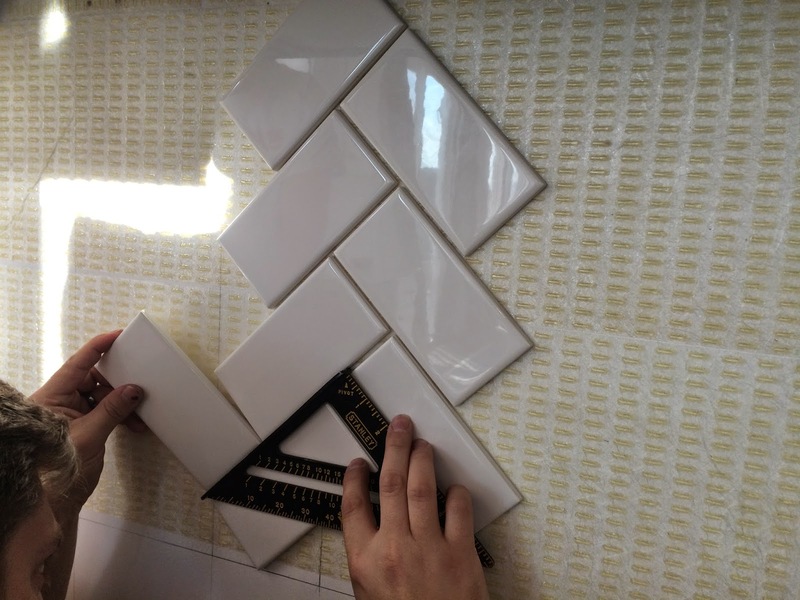 Is very easy to use and it is VERY forgiving if you stick a tile in the wrong place. 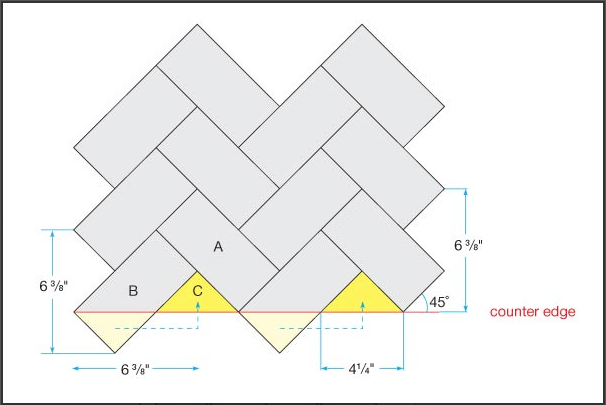 Herringbone is a pattern made from laying the tiles at a 45 degree angle from the counter top. Here is a link to the tutorial we used to help us get it right. 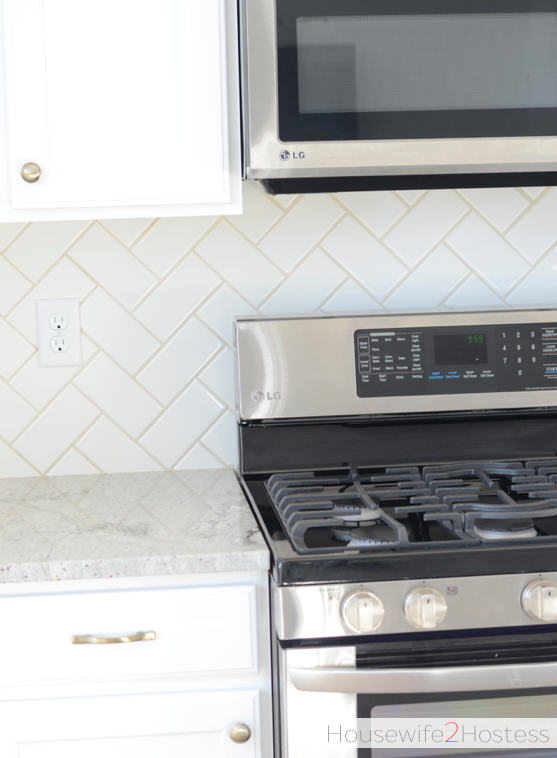 Initially we agreed on the grout being gray, but after picking out the brushed brass knobs I changed the grout color to bone. It was the subtle choice and it added the warmth that I wanted in my color palate. When he first called me in to see the grout my hear sank into my stomach, it was SO dark. But after a good 5 hours it was as nice and light as the sample on the bag, phew! 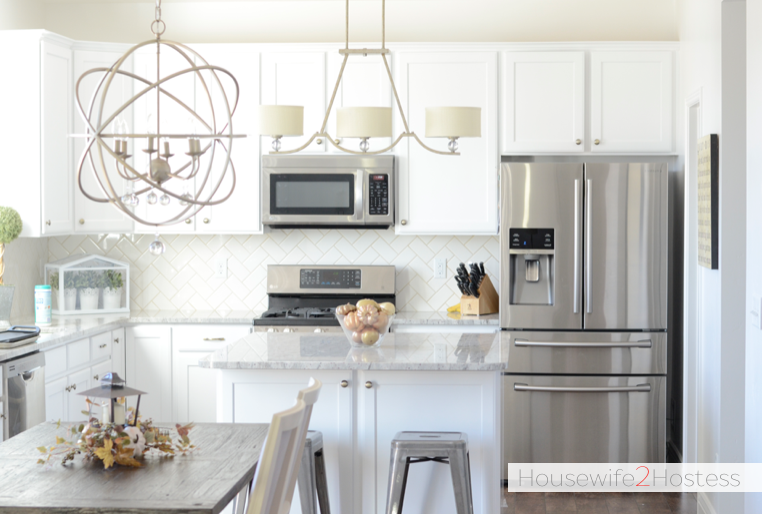 I love how this kitchen tuned out! Thanks for checking it out, XO! Seriously beautiful!! It doesn’t even look like the same kitchen. 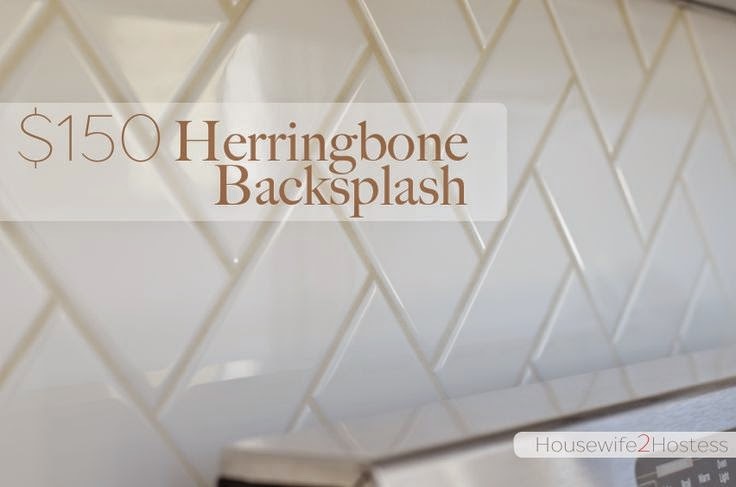 I love the herringbone pattern. I can’t believe the difference in color whenever it dried. I probably would have had a heart attack when I saw the darker color. lol! Your husband is very handy with this kind of stuff! Mine wouldn’t know where to begin. haha! I really appreciate that! I love how it turned out! !